As a well established Adelaide Law Firm, we are proud of our team of dedicated, experienced and caring professional lawyers. Serina Pace is our Principal practitioner, starting the Adelaide Legal and Pace Lawyers practice in 1998. She read law at Adelaide University Law School where she gained a Bachelor of Laws (Honours), along with a Bachelor of Commerce with an accounting major. Serina oversees the work of our legal team, ensuring the best possible results along with the best quality legal services for our clients. 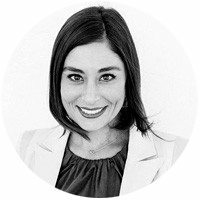 Practising in property law, commercial and corporate transactions, commercial dispute resolution and litigation, personal and corporate insolvency law, liquor licensing and intellectual property law, Serina is an accomplished litigator and negotiator. With a wealth of industry experience, she ensures your legal transactions are seamless and stress-free. Serina’s unrivalled leadership skills and passion for the legal profession have allowed her to create an environment where her team are constantly achieving commendable results. Serina also sits on the Board of Down Syndrome SA and recently won the Telstra Business Women’s Award for Business Owner SA in 2012. Serina’s unique oratory skills are matched by unique foot-in-mouth moments, holding the office Golden Goose Award close to her heart for the last 3 years. Julia Adlem joined our team at Adelaide Legal and Pace Lawyers in September 2006 and is now the Managing Associate and file principal for all Adelaide Legal matters. She read law at Anglia Ruskin University in the United Kingdom, where she graduated with Honours and as dux of her university cohort. Julia has an extensive background in employment law and industrial relations, business solutions, personal injury and family law. Her industrial relations experience extends to both employee and employer representation, providing a comprehensive insight into the complexities of legal changes and implications in this jurisdiction. Julia was a senior member of the legal team involved in a very recent ground-breaking decision of the High Court of Australia, regarding trust and confidence in all Australian employment contracts. She is also passionate about personal law remedies for injured and aggrieved persons, bringing her wealth of experience and understanding to bear in each and every matter she undertakes. Prior to entering the legal profession, Julia worked in HR, advertising and media and her extensive management background in these industries gives her a negotiating edge and the drive to expect more. Julia doesn’t shy away from the hard fights, but she also has the common sense to appreciate when settlement is sensible and guide you through the mine field of the dispute resolution process. She has the ability to empathise whatever the circumstances, having the age and experience that is vital to successfully mediate at all levels. Julia is mum to two girls and wife to David, so has no ‘free time’, sadly she still finds enough energy to karaoke in the office, preferring the 80’s classics from her heyday. 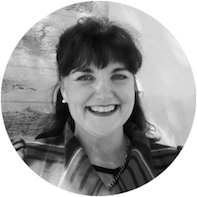 Kate has been working as a Consultant to the Adelaide Legal & Pace Lawyers team since 2009. She graduated from the University of South Australia with a Bachelor of Business (HR and IR), attained her Bachelor of Laws from Adelaide & Deakin University in 2005 and completed her Master of Labour Relations Laws at the University of Melbourne in 2014. Kate has wide-ranging experience in a combination of private practice and corporate roles, and has worked in some of the most prominent legal practices and national corporations in Australia. She is a Workplace Relations Specialist with over 25 years of advisory and litigation experience in all aspects of employment and industrial relations law. Kate represents and advises employers and senior executives across a range of industries including professional services, manufacturing, mining, construction and health. She has held a variety of legal, employee relations and human resource management roles, including Legal Practice Manager and Principal Adviser to Australia’s largest employer association. She has also worked in international law firms and as part of senior management workplace relations and industrial relations teams including those at Tiger Airlines, OZ Minerals, Smorgon Steel, Benetas and St George Bank. Kate has worked extensively on major bullying investigation work, provided support for enterprise bargaining agreements and responded to association, employee and union applications. She has a specific area of interest in enterprise bargaining and often advises and presents to clients on industrial strategy, investigations, related disputes and all facets of bargaining. In fact, what she doesn’t know about industrial relations could fit on the back of a postage stamp. A really small one. 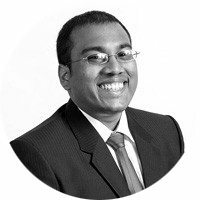 Shavin Silva has been with the Adelaide Legal team for over a year and has already assisted on matters ranging from Magistrates, District and Supreme Court litigation and more recently on a ground-breaking High Court Appeal. Shavin’s commerce and accounting degree provides him with a keen insight into the commercial underpinnings of the matters he deals with, ranging from preparing complex terms of trade, business structures, corporate governance and insolvency and bankruptcy law matters for our sister firm Pace Lawyers, where he also works on repossession matters, commercial advisory and insolvency law. He also currently sits on the Law Society of South Australia’s Civil Litigation and Commercial Law committees and is a member of the Executive Round Table Group. Shavin works closely with our Managing Associate on employment and industrial related matters, where his keen understanding of both statute-based and contractural issues comes to the fore. Originally hailing from the sunny shores of Sri Lanka, Shavin is a constant source of smiles in the office. He delights in finding new and innovative ways to advance his clients’ interests. And yes, we said “delights”. Stefania Scarcella joined the Pace Lawyers & Adelaide Legal team in June 2015 as a Paralegal, after being lucky enough to get a taste of office life during her work experience with us. She became a practising lawyer with us in January 2018 and is a welcome addition to the team. Graduating from Flinders University with a Double Degree in Law and International Studies (with an Italian major), Stefania has a special interest in helping people which she puts to good use in her volunteer/charitable work with Pan South Sudan and the Red Cross as well as her clients at work. She takes great pride in being compassionate and having empathy in all matters she undertakes. Stefania works closely with all the lawyers on the team and assists them across all areas of law as required, including personal injury law, family law, commercial transactions, wills and estates and everything in between. She has a special interest in family law and personal injury law which is no surprise, being one of most empathetic team members. Stefania loves to learn and is expanding her skillset every day. Oh, and she likes to talk. And make fancy Italian bakes for lunch. And take snaps for our Insta page. While she talks. Monet is the newest member of our team, joining us in March 2018 as our front-of-house professional. She provides administrative assistance to our lawyers and assists in accounts management. She will always greet you with a warm welcome and a smile and is usually your first point of contact at Pace Lawyers & Adelaide Legal. 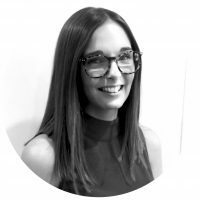 Coming from a legal support background, and with some 7 years of customer service and business management experience in the retail industry, Monet has excellent communication and organisational skills and is comfortable interacting with a wide range of people. More importantly, she will use those skills to ensure you feel comfortable dealing with us. Monet also has an enviable financial and administrative skill set, which she puts to great use looking after our legal management systems and processes. With her two dogs (aka her children!) and love of family and friends, Monet fits right in with the team at Pace Lawyers & Adelaide Legal. Oh and she’s a bit of a self-acclaimed perfectionist too, just think “Monica” from Friends. And make sure you use a coaster for your coffee cup. Annabel began working as a part-time law clerk at Adelaide Legal and Pace Lawyers in January 2014. She moved into the role of Legal Clerk & Administrator in July 2017, where her duties included aspects of the firm’s marketing, reporting and social media presence, as well as assisting the lawyers administratively within the firm. 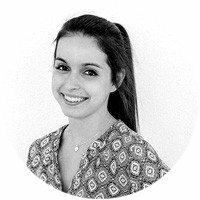 In July 2018 Annabel became the Paralegal for Adelaide Legal, predominantly working alongside Stefania and Julia. Annabel also studies at the University of Adelaide, where she is in her fifth year of a Bachelor of Laws/Arts double degree. Oh and she’s passionate about her sister’s blueberry muffins. 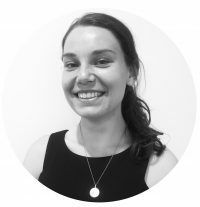 Rachel joined us at Pace Lawyers & Adelaide Legal as a part-time Law Clerk in March 2018, having spent time with us on work experience in February 2018.In this role she provided administrative support to our Legal Administrator as well as to our team of lawyers, with duties including rounds, legal searches and the preparation of court documents. 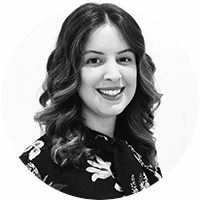 In July 2018, Rachel became the Paralegal for Pace Lawyers, predominantly working alongside Shavin and Serina. In her ‘spare time’ Rachel is also studying a Bachelor of Laws/International Studies double degree at Adelaide University, so if you get into trouble overseas you know where to come! Introducing Hugo Pace, the newest addition to the Pace Lawyers & Adelaide Legal team. 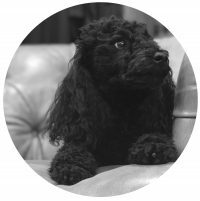 Hugo joined us in April 2016 as our official office health mascot and has made his mark in more ways than one so far! We have all read about the reported benefits of having animals at the workplace – increased employee morale, reduced stress, improved job satisfaction and worker health, increased activity levels and productivity – and at little or no cost to the company. If it’s good enough for hugely successful companies like Amazon and Google, who both have dog friendly policies, then it’s good enough for us! At Pace Lawyers & Adelaide Legal we are committed to our clients AND to our employees. You matter to us. And to Hugo!